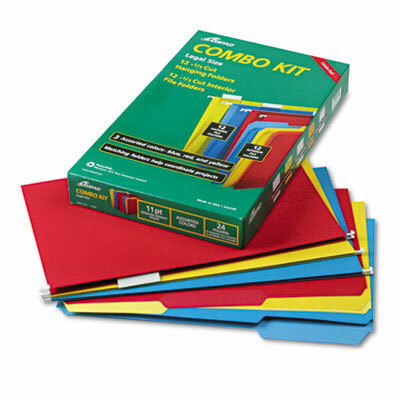 Convenient all-in-one kit with 12, 1/5 cut hanging file folders and 12, 1/3 cut interior top tab file folders. 3/4" expansion. 11 pt. stock. Includes tabs and inserts.